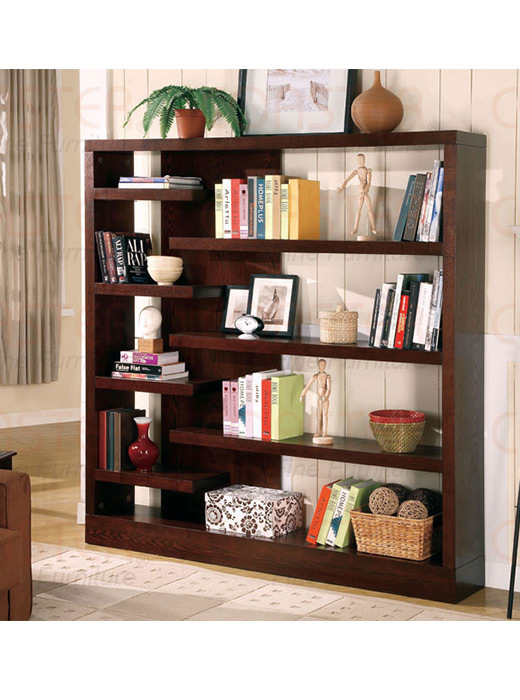 This bold contemporary bookcase will add storage to your living room, office, or hallway. 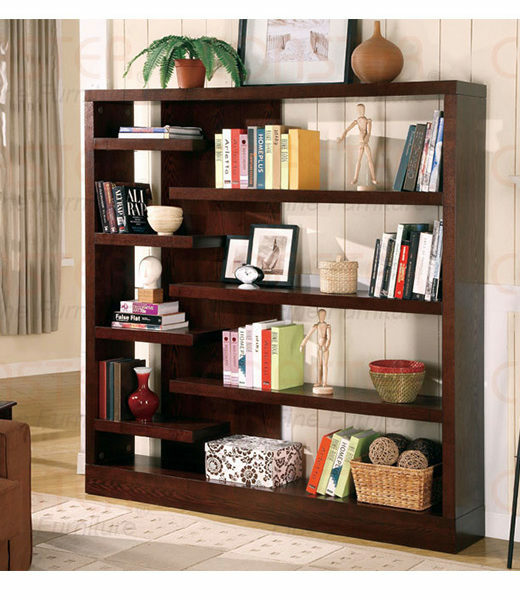 This bold contemporary bookcase will add storage to your living room, office, or hallway. Finished in a deep Cappuccino, this semi-backless bookcase features an asymmetrical design with staggered shelves. Four small suspended shelves, and three spacious suspended shelves offer lots of space for books, framed photos, and your favorite decorative items, while a large shelf along the base offers more space.